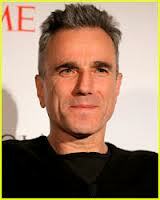 No stranger to tackling difficult material, Daniel Day Lewis, 55, plays America’s most revered president, Abraham Lincoln. In Los Angeles on a sunny afternoon, Lewis is dressed in a grey jacket, black trousers and a white shirt. The award-winning actor, often described as a recluse, doesn’t talk about his personal life, nor his time when he famously dropped out of acting on a self imposed sabbatical to become a cobbler in Florence. Lewis had a relationship with French actress, Isabelle Adjani, which lasted six years. Their son Gabriel was born in 1995 several months after the relationship ended. He later married Rebecca Miller with whom he had two sons; Ronan, born 14 June 1998, and Cashel, born May 2002 and they divide their time between the US and Ireland. Aside from acting, he’s a supporter of Millwall Football Club, and in July 2010, he received an honorary doctorate in letters from the University of Bristol. For the full interview, please contact us.